I am 27 and have had a really textured, bumpy forehead since about 23. I had tried everything, and although some products caused small improvements, nothing really ever got rid of them. The spots never really come to a head, but instead are thousands of tiny, headless pimples. I had been hunting online for a diagnosis and remedy. I found a forum with people discussing 'Closed Comedones' which sounded very similar to what I had been suffering with. Lots of people recommended Paula's Choice BHA exfoliants as a remedy, so I purchased some to give it a go. The results were outstanding, even after just one application. I used this at night, after I cleanse. Then I wait a while before using a retinol night cream. I have been using this product for little over a week and almost all the bumps have gone! My skin looks clear and healthy. Years of trying everything, resolved in a week! Could not recommend enough! I started using this product in the clear extra strength trial kit.. while i was shocked that i could see a difference the very next day and thought i finally found the product for my cystic back acne, within the next 2 or 3 days i would get new cysts on my back.. not sure if i will continue to use this product or just stop.. oh and the packaging needs to be changed, every time i go to use it it leaks in my hand!! Customer Care: We are sorry to hear of your experience. We recommend to give your BHA exfoliant at least a month of once- or twice-daily use before deciding whether or not it’s working for you. Should you need further advice, don't hesitate to contact our customer care team. Annika - THIS is the Holy Grail! I fully agree with many other - this IS indeed the Holy Grail! Makes your skin smooth, doesn´t stain at all when applied and I can really see the red marks fade already after ONE nights use! I can have REALLY BAD red marks on my cheeks despite that I don´t have any angry acne, and never had any scaring (luckily!!). Besides that, I thought shrinking pores was a myth - believe me, it´s not when you try this on your face! Since I started using PC my skin has slowly omproved step by step and I consider it to have gone from combination/oily to normal/combination. Only a bit dry sometimes. After fighting bad skin since my teens (I´m 34 now) I don´t think any brand ever has given my more even complexion and balanced skin like PC and I have tested many brands. This really is a must have to keep pores more clear, give a healthier complexion and decrease those red marks! Melisa - My hoily grail! I have, ever since I've been a teenager (late 20ties now) had blackheads on my nose. And not just a few, but a lot and very visable. I have tried everything. Nothing really worked. Until I tried this product. It does (for me) everything it says on the packaging. It took only a few days and my pores were clean...of coures the pores are still there - but not as visable and the blackheads are gone.I am on my second batch now and can't imagin not having this prodct. I love it. Worth every penny. Bought this for 2 reasons - blackheads on my nose and cystic acne on back of my neck. Together with diet change (no sugar, pastries, deep fried food) this solution helped to fight acne on my neck and it is almost gone (though now I have to fight it on my shoulders), but blackheads stayed where they were and did not shrink or get less. Used it for one month every evening. Not sure should I try another product, need to use this one longer or blackheads will never go and I have to make my peace with that. Another good feature. This product did not dry out my skin as other similar products would. I love the formula of this product. I've used the 2% BHA gel and the Resist Anti-Aging Pore-Refining 2% BHA but until this product, no formula seems suitable to my skin ( I have a combination skin ). This product doesn't dry my skin out. It makes my skin cleaner and smoother. There was a probleme during transport but the excellent Customer service has taken care of it very fast and effective. I'm so thankful and love Paula's Choice more than ever. Love this product, since I started using it I've noticed a definite improvement in my skin tone and reduction in spots. Although it's marked 'extra strength' it doesn't feel drying at all and in fact my skin feels nice and soft after using it. I don't think I have ever written a review before, but this stuff is absolutely magic. I have used the 2% lotion before, which didn't really do much to my skin, so after these reviews I was really excited to try this one out. And the results after just one application are frankly shocking, I wasn't expecting that at all. My skin is very dry and sensitive, and I get breakouts which take forever to heal, another concern are those super annoying milia things underneath my eyes and on my nose, which I have just always had I think. Well I applied this yesterday morning, and when I looked in the mirror just later that day, I was astounded - a big pimple I had on my cheek, that normally would take a few days to go away, and then a few weeks to completely heal, had just about vanished, only leaving behind the redness/Scar, which this morning looks significantly better as well. Today the rough skin beneath my eyes and on my nose, which I honestly thought was just how my skin would always be! have dramatically softened and looks a lot smoother. It is unbelievable. I can't wait to see what this will do to my skin in the next few weeks. All these years I thought I just had bad, lumpy skin genetically and after sun damage, that I would just have to put up with, I really just haven't used the right product!? I use this and the skin recovery serum in conjunction with a really rich moisturizer for my super dry skin, and it seems we might finally be able to have a great relationship after all :-) Thanks so much. Abosultely amazing product. Does wonders to my skin. The only BIG problem is you lose out on nearly a quarter of the product as it leaks even when standing up which I cannot believe after spending so much money on the product. Also the shipping cost is crazy money but worth it if it didn't leak. Same problem with many people. This product was recommanded to me by the website, because i have hormonal breakouts and because it has so many good reviews i thought salicylic acid would work better for me. Unfortunately this didn't do anything for me, it didn't calm the breakouts that i had or prevented them either. And can we talk about the price? The difference between the european website and american one is ridiculous. Im not even gonna talk about the shipping price. I love this product. 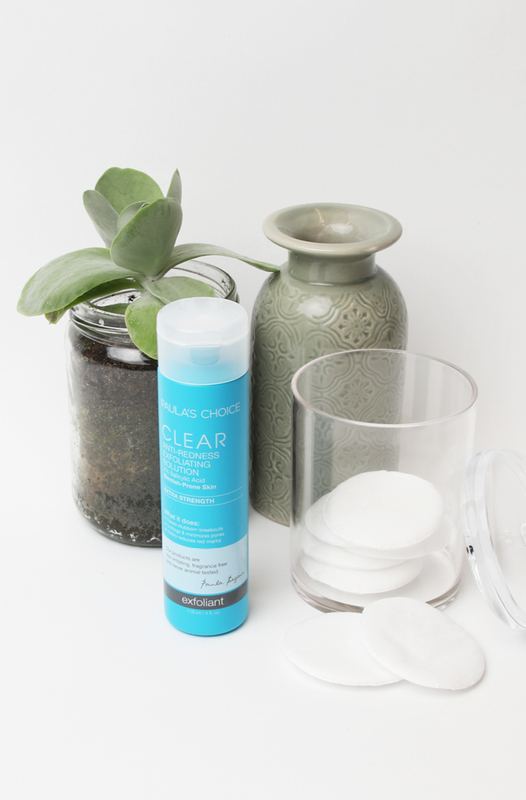 I had suffered from adult acne for years and this product in combination with other Paula's Choice products have really helped to clear my skin and improve its tone. This exfoliator doesn't irritate my skin, although it does irritate my sister's so it doesn't work for everyone. The only problem is that the bottle leaks, hence only 3 stars. No matter how tight the cap is screwed on the bottle somehow leaks and the liquid seeps out of the bottle when the lid is closed even when in upright position. I cannot take this product with me anywhere. I've purchased this product several times during the past couple of years and it's the same issue every time. I've decided I will not buy this product until they fix the bottle, I'm so annoyed by it. I was not sure if to try it or not, but the previous reviews convinced me to buy one. After month of regular twice a week use (alternate to AHA - practicing with these products I've found this is the best exfoliation routine for my face) I can say it does definitely help in refining my combination skin, dramatically reducing any blackhead and breakouts (just sometimes a little whitehead here or there, which is absolutely nothing if I compare my skin now and before this treatment!). Most of all I've been surprised by how gentle this product is on my sensitive skin. This works very well. I use it twice a day and it goes with both blackheads and blemishes on nose and chin and with the dryer skin om my cheeks. To use every precius drop of this; split your cotton pads into two thin ones like a layered cake. This way, less product will be absorbed by the pad and end up in the Waste bin. I have just one major complaint. The packaging (I see, another customer also commented on this). It leeks. I tried making just a small hole in the closing sealing to avoid the spill. It did not work. Now I screw off the lid, runs a small rubberband around the top of the bottle opening and screw on the lid again. With a bit of luck it works but i cannot always make it sit right. Customer Care: Thank you for your review. We are sorry to hear about your packaging complaint. We will contact you by email about this issue. Having suffered terrible hormonal acne as a teenager, the acne finally subsided after using contraceptive pills. I enjoyed clear skin up until a year ago when my skin no longer responded to the pill and made me feel nauseated and had terrible affects on my skin. After countless trips to my doctor, months of antibiotics, topical ointments and DIY remedies I tried this solution with a disillusioned mind. I am currently on a dermatologist waiting list to be prescribed accurate for my cystic acne which will now be cancelled! My skin is perfect after using this product for only a few short weeks. My skin is virtually pore-less. No a single spot. My acne starring remains but is fading every day. The results are visible every morning I wake up. I will bulk buy this product for the rest of my life. My confidence is restored and my skin is better than ever before. If like me you have tried everything else out there. I promise you this will work. This exfoliating certainly works wonders. But compared to the regular strength, this stings and adds redness to my skin. Customer Care: Thank you for your review. We are sorry to hear of your experience and discomfort. Although this is not a common response, we do understand that each customer is uniquely different in how they will respond to products or ingredients. Possibly this product is too potent for your skin. Please contact us by email should you like to return it to us. Matilda - Great but could've been even greater! I've been using this for about six weeks now, along with all the other CLEAR products (except the moisturizer). I have combination skin with breakouts and whiteheads/blackheads and on top of that really sensitive skin. At first it seemed to work so great that I couldn't believe it, but after a week or two it changed. Before I did just have whiteheads and blackheads on my nose and my chin and some breakouts there and on my forehead, now the breakouts have been minimized but the whiteheads has increased a lot in both size and amount! My whole forehead is full of it, which it wasn't before I started using PC's CLEAR products. The best part however is that the CLEAR products, for me, have healed the breakouts and made them disappear much faster than before. I used all the CLEAR products along with the balancing moisturizer, so I wonder if that's the problem. Lucky for me the CLEAR moisturizer has finally arrived so I've placed an order and hopefully my white- and blackheads will disappear (and the breakouts) when I start using that instead of the balancing one. I'm hopeful! Francesca - great product...6 stars!! What can I say, Paula's Choice skin care products have made my skin so much better. I used to suffer from acne, persistent though mild, but nowadays I'm being complimented on my complexion and don't feel the need to wear makeup that often. I believe this exfoliant is one of the key products in the process of my skin getting better because I saw a reduction in break outs, blackheads and redness right after changing just my cleanser to the CLEAR cleanser and adding this exfoliant to my skincare routine. It's funny because I hadn't even realized that my skin had been that red and irritated until I started using this product and saw the improvement in my complexion. This product is really really good! Works like a charm and has given results on my skin very quickly. However, the bottle and the cap has caused some problems. Everytime I pour out the liquid through the little hole onto a cotton pad, an amount of the liquid gets stuck in the cap, and later on it leaks through the tiny space between the bottle and the cap. I'm not sure of how to explain it but hopefully you'll understand. Not only does this cause a mess in my bag but it's also a waste of product. My product is getting wasted without me even using it... Please fix this and your product will be a 5-star product without a doubt! 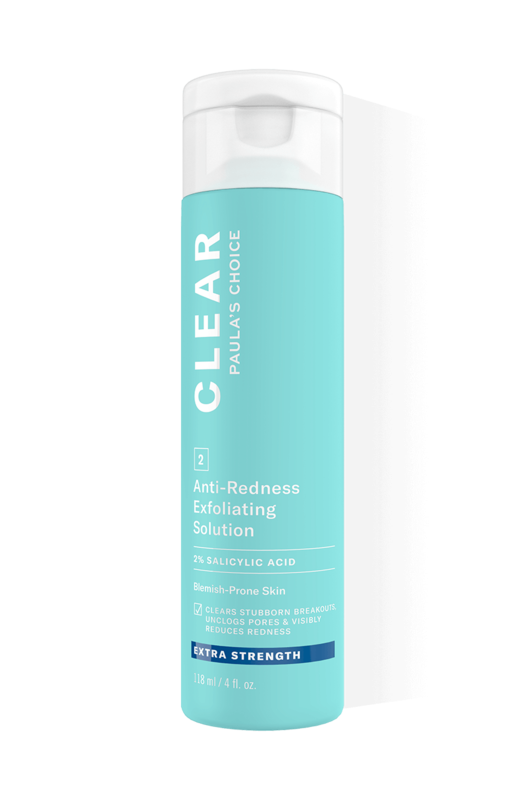 If I will use the CLEAR Extra Strength Targeted Blemish Relief Toner which has the same formula as the 2% BHA exfoliating liquid I don't need the exfoliating step after the toner and can continue my daily routine with the antioxidant moistuizer? Custometr care: After Cleansing apply CLEAR Extra Strength Targeted Blemish Relief Toner . Then continue your daily routine with antioxidant serum/ moisturizer with or wothout SPF. Glen - Best product ever ! In 1 day my skintone is so much better,I see u BIG difference! I will never buy any other products then Paula's choice for everything! Thank you ! I can't say enough about this toner. I've tried everything to get rid of the acne: pills, antibiotics. etc. Now I am in my late 20s, I have a very good job and I was just embarassed to go to work with such a bad skin. You know ... you can invest in clothes, hair, etc., but if your face is covered with blemishes, everything is in vain. So I tried this. Couldn't believe that results were showing within 1 day! A week later, my skin was clear. I use this toner with the Clear cleanser and I will never-ever try smth else. Sooooooooo happyyyy!